Five NASA Spheres appear from nowhere! 30/12/10: They are back! ﻿NASA's STEREO-B spacecraft yesterday filmed five new NASA Spheres! Just look, disappeared for months and now they are back, almost a year to the day, coincidence? Five minutes after I posted this the whole headline post was moved from the front page to a thumbnail on the left hand side of the Spaceweather website. coincidence? Re: Five NASA Spheres appear from nowhere! 30/12/10: They are back! Good to see you here on MoA...always enjoy your posts! Great to see you also AS. The spheres are very weird indeed. So let me ask your opinion, or theory on the spheres...what's going on there, how can anything get so close without vaporizing from the solar heat and radiation? Why are they there and what are they doing? Any thoughts on where they may come from? Makes me wonder if scientists theory's about the sun, at least life in space are...un-evolved, or at least way off base. I recently heard the comment "Space is like an ocean" meaning that there are life forms in space existing like fish swim in the ocean waters. Also if we are closer to the sun in January, and furthest from the sun in July - why are the winters cold and summers hot? Shouldn't it be the other way around. They remind me of the orbs (plasma balls) that have been seen around the atmosphere of the earth. (including google earth), only way way bigger. They are supposedly the size of the earth. Any metallic ship would be vaporized I would assume. Are they some type of protection for us placed by higher intelligence, to help deflect cme's? I've wondered if they had something to do with either deflecting, or minimizing CME's effects...or God forbid, aggravating conditions to induce CME's or other problems by tinkering with the suns energy. As you know, there have been many predictions of an intense upcoming solar event in the next couple of years, the Mayans and many other ancient cultures went to great lengths to warn us about the 2012 time period. How did they know this? Could these sphere's be connected with a dark technological civilization that returns every so often to wreak havoc in the solar system. Another possibility is that the sun is some kind of stargate, there has been a lot of activity around the sun the last year or so...the winged object and other large objects that have appeared in the region around the sun. I just listened to a remote viewer Maj Ed Dames who worked for the military, on Coast to Coast who was very serious about the upcoming "kill shot" from the sun that will hit sometime towards the end of 2012, or beginning of 2013. That the earth was going to suffer through a very rough time when the solar and x-ray radiation cause much damage to all life forms. He said the sun will exhibit such outrageously bizarre behavior that the wars will end, soldiers will lay their guns down en masse and go home. At that point everyone will waken to the fact that something is very wrong...very interesting interview, apparently this guys gotten it right many times in the past. If this is true then it doesn't sound as though the sphere's are there with our best interest in mind. I have one of Ed Dames DVD so I am very familiar with his work. I have felt all along that the sun plays a major part in the whole 2012 thing. Yes, the killshot video is frightening. 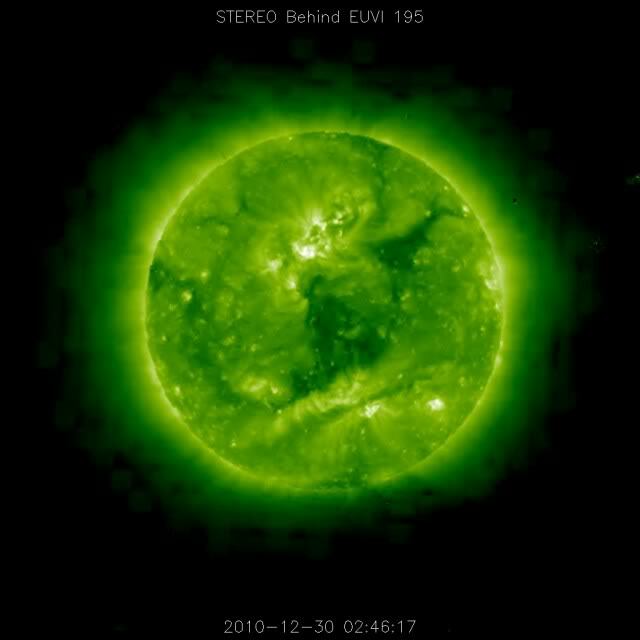 2012-2013 could actually be about major solar activity as so many are forecasting. Looks like these could be the EMV's Jame's Horak speaks of- defelcting CME's to save the earth experiment. Astralwalker said 3/28/2013 is when the sun will expand. Meanwhile, just hang in their for the blue wave to get your DNA upgraded. Or if one passes (sans physical body) over, swing to the south out toward the constellation Sagittarious, past the spout tip toward the galactic center and meet the incoming blue wave for the upgrade. One has only 30 seconds to get there as there are a few hitches along the way. 'I received an e-mail tonight from a man named Julian which included a link to two photos he had taken with his cell phone camera on either December 20 or 21 (he can't remember exactly), at approximately 1:15 pm Eastern standard time in Auburn Hills, Michigan. Julian thought he was just taking photos of the chemtrail being sprayed, but some friends pointed out to him that there seemed to be UFOs seen in the center area of the sun in his photos. After sending me the full sized jpegs of both photos, I enlarged them and ran them through the "solarize" filter using PhotoShop. The solarize filter sometimes allows objects against a white background to stand out better. 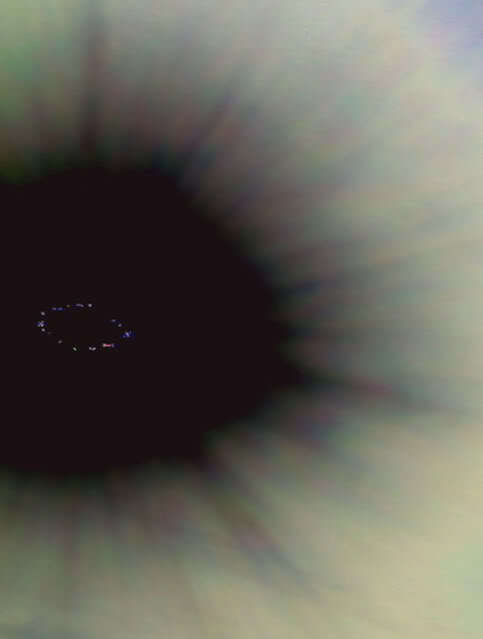 Sure enough, after solarizing and enlarging the crops in the central region of the sun, a ring of different shaped UFO-type objects appeared in both photos A and B. Some of the objects look round, but others appear cylindrical in shape, and one very large, reddish colored object had something of a "dumbbell" shape. with a round, bulbous expansion at one end and a rectangular shape at the opposite end. I have seen these images of the sun, and have looked at other NASA sun photos. And here is some of my thoughts. It is very possible that certain metals or other material unknown to us could withstand the heat, or be protected by advanced technologies. But what is more interesting is my thoughts while looking at the below picture. The dark, landscape texture of the sun, looks just like that, a landscape. 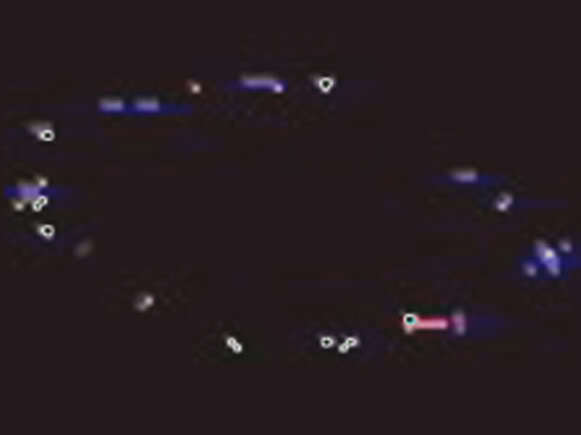 And if you look close, you can almost make out strange objects on and around the surface. This and the main image of this thread makes me wonder if metals are harvested from stars, like our sun. The sun and any star would be like a big metallurgy oven where rare materials could be found and no where else. Star harvesters for metals or who knows what. Also, we don't really know how hot the sun is, we have never been there. There could be a cooler than we think area near the surface once close. It is hot on our planet in some areas because of our atmosphere trapping in the heat, so with that in mind, and the temperature of cold space, the non-existent atmosphere of the sun and other stars may provide for an actually approachable surface. It seems so hot to us because of the greenhouse effect and the fact the sun is so very big. Yep, and if you move fast enough, you would also be able to withstand more heat, like moving your hand through a candle flame. The slower you star moving your hand, the more you start feeling the heat. The keep moving statement works for cold and heat.